At the end of the day, success depends on how much you've accomplished since the start of your day. For years, award-winning KODAK i5000 Series Scanners have been the choice of the most demanding customers in the toughest scanning environments - service bureaus, business process outsourcing organizations, and corporate scanning departments. The newest i5000 models offer efficiency and reliability that can positively impact productivity and enable true, high-volume processing. Rated speed and real-world throughput can be very different numbers. KODAK i5000 Series Scanners get high marks for delivering on what they promise. Truth in specifications and engineering know-how adds up to high volume throughput. It's the processing speed, smooth paper flow, and document handling versatility you need. Advanced efficiency features handle complex tasks and difficult document types easily. Anticipating and avoiding potential problems in advance helps to minimize interruptions and slowdowns. Exceptionally clear images are essential for accurate data capture. 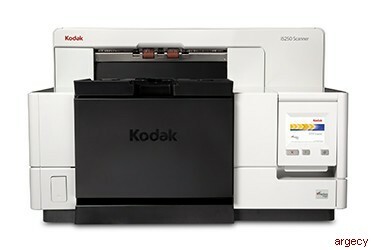 KODAK i5000 Series Scanners reliably deliver sharp results reducing the need for quality assurance checks or rescans.